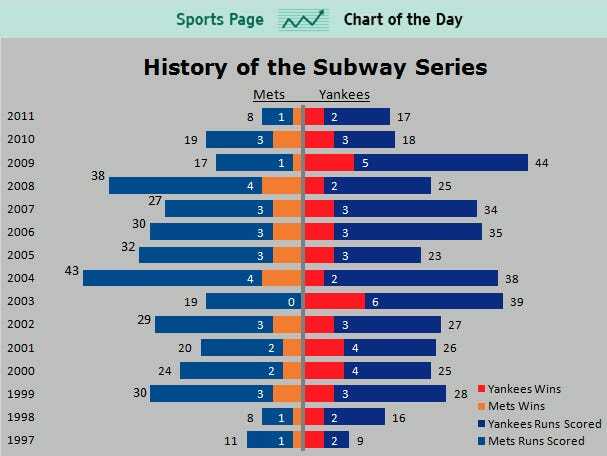 On May 23, Sports Chart of the Day published this chart comparing wins and runs scored in the Subway Series (i.e., Yankees vs. Mets). The stacked bars are irrelevant and misleading. Wins and runs scored are two very distinct stats and adding them together makes no sense whatsoever. Are these stacked bars or overlaid bars? 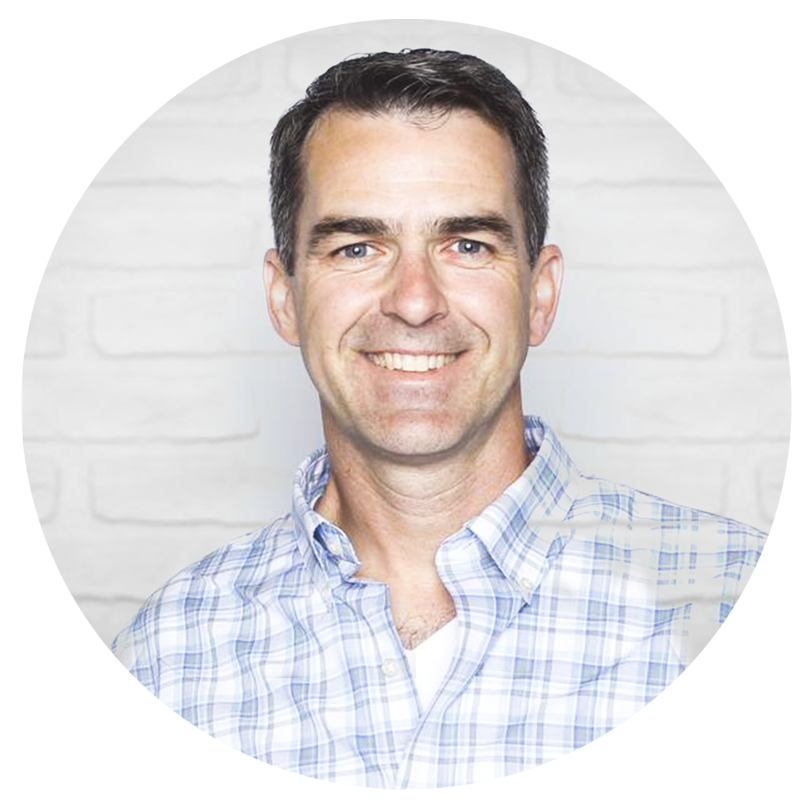 The dark gray background…why do so many of their charts have this background? I don’t get it. I recreated the data in Excel and threw it into Tableau and came up with three simple alternatives: a tornado chart, a line chart and a bullet chart. Which on is your favorite? What can you do with the data? 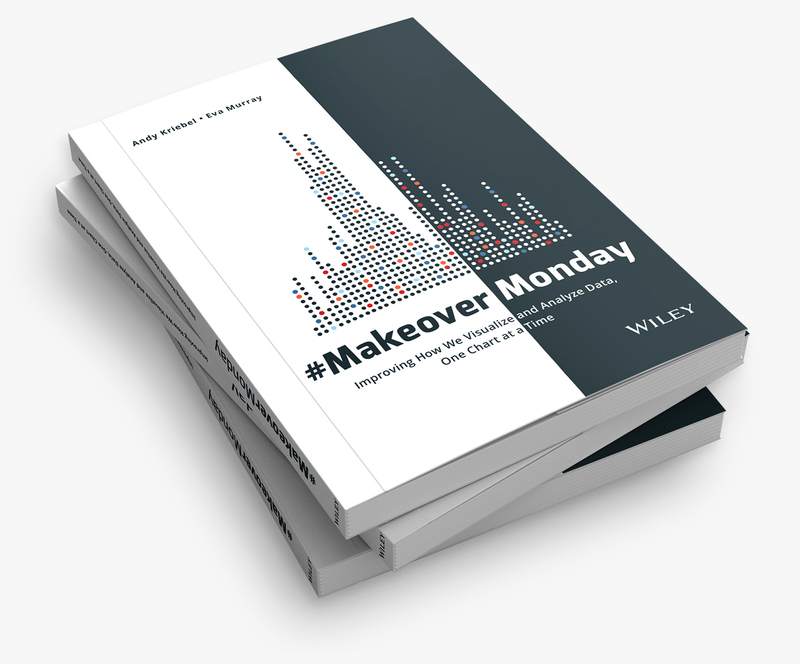 Download the workbook and leave a comment with a link to your viz.